This autumn, Ufomammut will excavate items from their pliocenic past, keeping their third eye pointed at the future – the ‘Magickal Mastery Tour‘ is a journey through fifteen years of Ufomammut music, performing under a new light songs from Godlike Snake to ORO, as thanksgiving to people for their support and devotion. With more dates to be announced, and support acts also, stay tuned because this is only the tip of the iceberg! 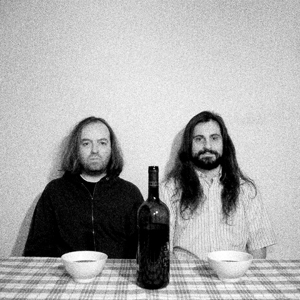 Blazing out of the backwoods of Bruzzelle, Italy, born in homage to plow and harvest — harvesting riffs, plowing grappa — the ZOLLE duo will release their belligerently unhinged full-length debut of rural rampage in plenty of time for tomato season. With only two members, somehow the magical ZOLLE still features members of Zu, Morkobot, OvO, One Dimensional Man and more. The bandits’ self-titled album stumbles triumphantly through inebriated off-kilter riff marches, schizokiller percussive thunder, disharmony and distressed builds abound, the pummeling concoction void of a goddamn human voice for its duration. There’s nowhere better on the near-half-hour colostomy of Zolle to let you all know where we’re coming from than just hitting play on this thing. This Is Not A Scene premiered the album-opening tune last week. The band would like to inform you it is called “Trakthor,” except they’re an instrumental band, making it impossible to actually tell you. But the word “Trakthor” only translates from Italian to English as, “Trakthor,” so there’s no harm done. Supernatural Cat — the Italian underground label run by Malleus Rock Art Lab, the artist collective featuring two members of the psychedelic doom trio Ufomammut — will set Zolle loose on May 13th. Formed by Marcello Lan (Morkobot), who lays down the meaty riffs, and counterpart Stefano, who beefs things up on drums and xylophone, ZOLLE commenced work on their debut album throughout the summer of 2012, and in just two months they had the music ready to commit to tape. Recorded in September of the same year by Michelangelo Roberti at Mizkey Studio (Morkobot) and mastered by Giovanni Versari (Zu, Morkobot, OvO, One Dimensional Man), performed almost entirely live, the drums are of considerable proportion and made of copper, and the amplifier is an old digital model of the ’50s which makes for a mammoth sound. In addition, Urlo (Ufomammut/Supernatural Cat) and Roberto Rizzo (Quasiviri/Runi) make guest infiltrations bearing drunken gifts of synth throughout the duration of Zolle’s ruckus. Supernatural Cat is the label run by Malleus Rock Art Lab, artistic collective featuring two members of the psychedelic doom trio Ufomammut. Enter Zolle self-proclaimed rednecks, are on the loose and ready to run amok with the release of their self-titled debut album, an ode to yokel ways of living. They might not take themselves so seriously but don’t be fooled, their music is no hayseed dixie, brace yourself for a ferocious, rampant record of thunderous riffs and robust drum blasts. Zolle are – Marcello (Lan of Morkobot) playing meaty riffs and Stefano who beefs things up on drums and xylophone. The duo commenced work on their debut album throughout the summer of 2012, and in just two months they had the music ready to commit to tape. Their self-titled album was recorded in September of the same year by Michelangelo Roberti at Mizkey Studio (MoRkObOt) and mastered by Giovanni Versari (zu, Morkobot, OvO, One Dimensional Man). It was almost all played live, with overdubs reduced to the bone. The drums are of considerable proportion and made of copper and the amplifier an old digital model of the ’50s which makes for a mammoth sound. Urlo from Ufomammut and Roberto Rizzo of Quasiviri/Runi add a little synth seasoning to flesh out the album also. The resulting album is mightily heavy, the short songs are direct and song titles are entrenched in references to redneck living. For example ‘Mayale’ is a play on the Italian word for pig [Maiale] but is written like ‘Maya’ to reflect the sacred image of the Mayan pig face adorning the album’s cover. Similarly, ‘Heavy Letam’ is suggestive of ‘Letame’ which means manure in Italian – resulting in an anagram of ‘heavy metal’. 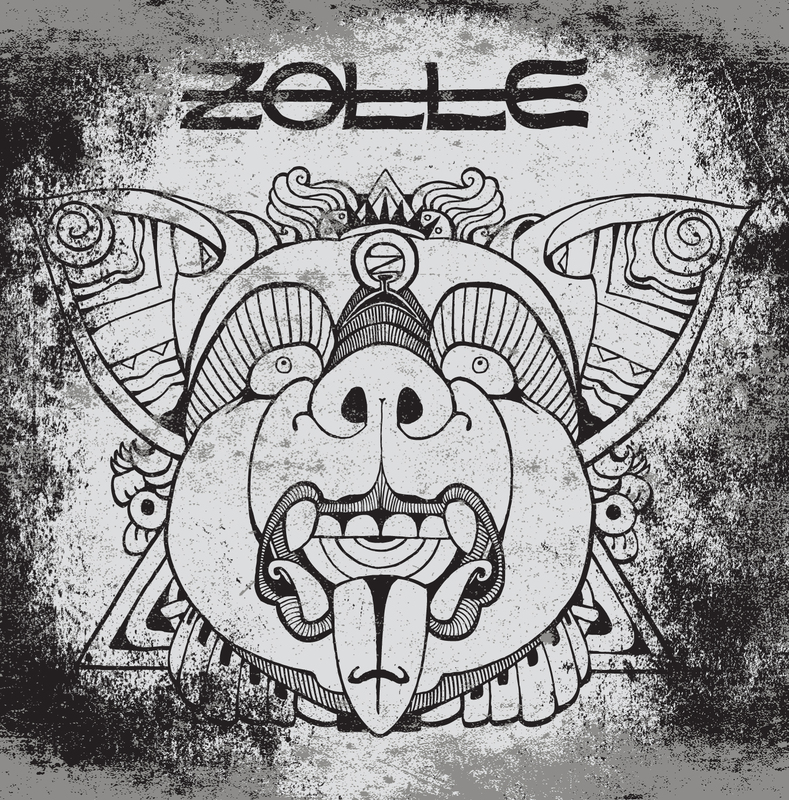 Zolle may be a no-frills band but there is much more to them than meets the eye. They are far from restrained and their debut album will definitely give you something to chew on. 5. Man Ja To Ja! More audiovisual treats as well as tour news will be announced in the coming weeks so do stay tuned!